BMG. BACK ISSUE. SUMMER 2017. 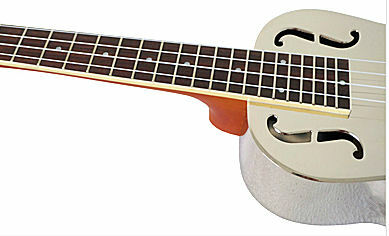 THE CLIFFORD ESSEX RESONATOR UKULELE WITH CASE. Location: /Instruments/Ukulele/THE CLIFFORD ESSEX RESONATOR UKULELE WITH CASE. This is a beautiful instrument, with a great big sound. It's a concert-sized ukulele (popular tunings are G, C, E, A, or A, D F# B), which comes with its own very protective high density foam, lightweight fitted case. With our name on it you just know it has to be the best. 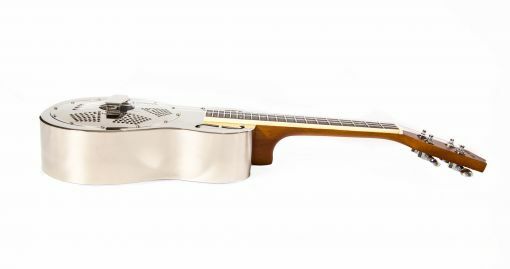 This model is completely hand made to Clifford Essex specifications, we could never produce an instrument of this quality for this price here in the UK. We were not impressed with many of the resonator ukuleles currently available, one of the major problems being the non-slip (friction) tuning pegs fitted to the back of the peg head, over time they often slip and the screw at the back of the tuning peg needs to be tightened, eventually they become unserviceable and need to be replaced. 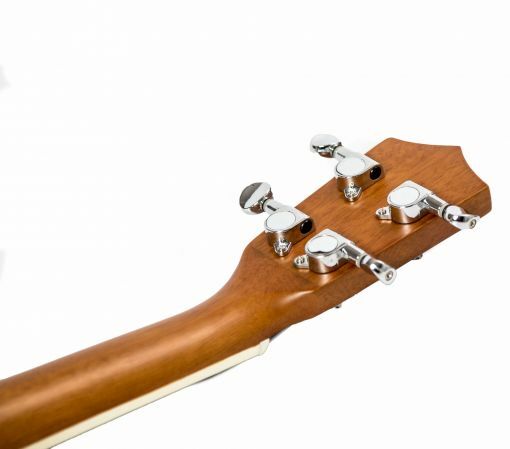 Our resonator ukulele is fitted with high quality geared tuning pegs which simply cannot slip. 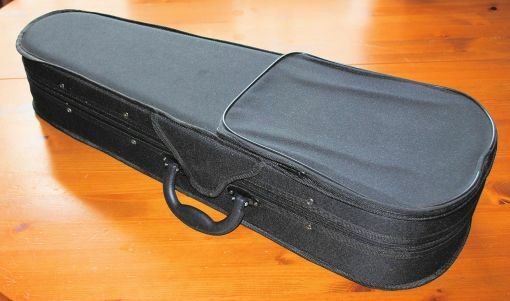 This instrument is ideal all players from the semi-professional to the professional player, a very playable instrument with high specifications at a very good price price. This instrument makes an excellent and affordable upgrade from any entry-level instrument. 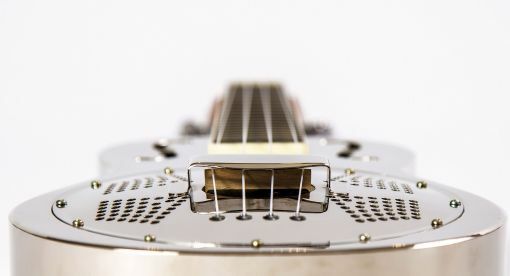 A resonator ukulele or "resophonic ukulele" is a ukulele whose sound is produced by one or more spun aluminum cones (resonators) instead of the wooden soundboard (ukulele top/face). 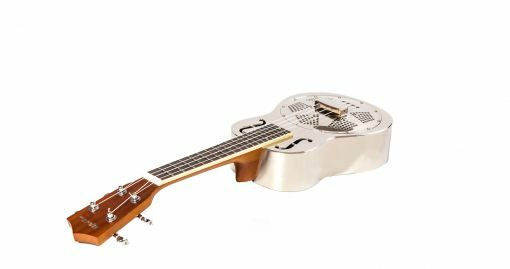 These instruments are sometimes referred to as "Dobro ukuleles," however the term "Dobro" is currently trademarked by the Gibson Guitar Corporation The resonator ukulele is a descendant of the resonator guitar. 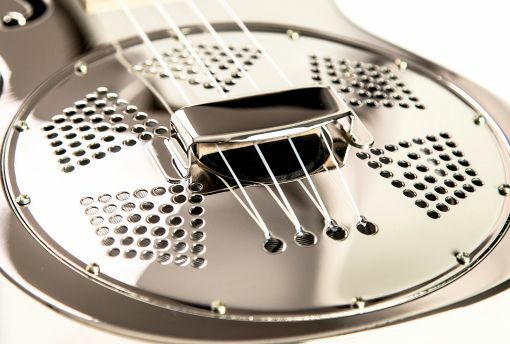 The resonator guitar was originally designed to be louder than conventional acoustic guitars, which were overwhelmed by horns and percussion instruments in dance orchestras. 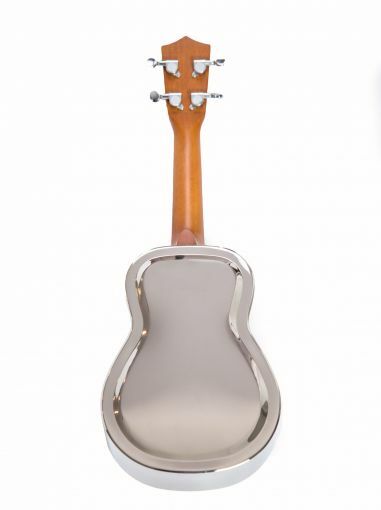 A resonator ukulele is generally somewhat louder than a standard wooden ukulele, and has a different tone quality and distinctive appearance. 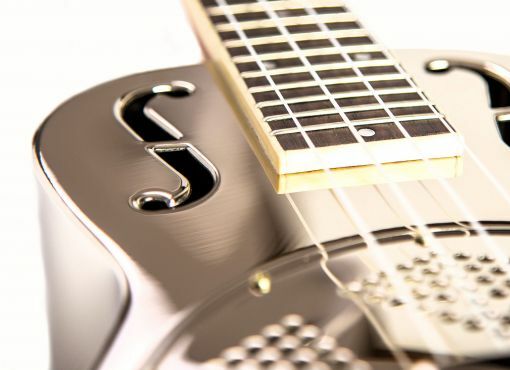 Though resonator guitars are often played flat in the lap steel guitar style, resonator ukuleles are almost exclusively played in the conventional manner. 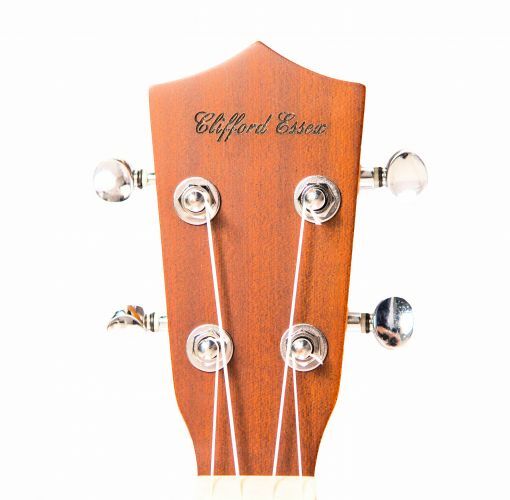 Product Reviewed: THE CLIFFORD ESSEX RESONATOR UKULELE WITH CASE. 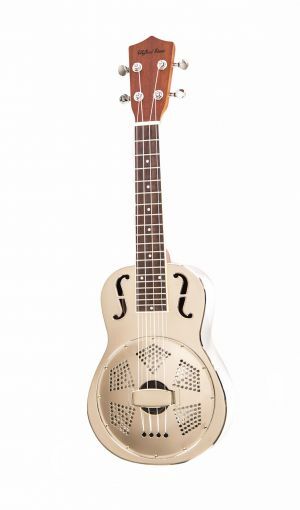 I have just received my Clifford Essex Resonator Ukulele and it is beautiful. Everything that it says on the website is true. I was a little nervous buying without seeing, hearing, or holding it, and because it is so new there were no reviews available. But I was pleased with how accessible the company was when I phoned to ask some detailed questions - I spoke with Clem who answered all my questions, and some I hadn't thought of. I am used to playing tenor size but this weighty little uke feels substantial enough to make an easy transition. 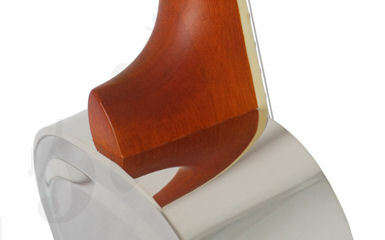 The finish is perfect, the neck smooth, good tuning heads. Fitted with Aquila strings it has a rich strong tone. Arriving in two days, well packed, in a good strong case, with an extra set of strings and some inspiring reading matter, I am very pleased with the service. Thank you to the team at Clifford Essex. THE IMPERIAL BANJO BRIDGE FOR STEEL STRINGS.